While the UL scene rejoiced when the original NeoAir came on the market, I never have been a big fan of it. It was just too cold for me, even on a warm summer night with a CCF pad underneath it. I quickly got rid of it, and have been using CCF pads and self-inflatable mats pretty much exclusively since then. But then Therm-A-Rest presented us the NeoAir XTherm, with a R-Value of 5,7, and they got my attention for that. Now that I have been using this mat since over a year, it is time to take a good, close look at it. The NeoAir XTherm arrived in 2011 and I have been using it a lot since, even on trips where I was wondering if it is smart to take such a mat with me. The mat has been holding up very well and shows no signs of usage after over 30 nights on it. It’s stored at the moment deflated & rolled up to safe space, though once I’m moving I will store it unrolled & inflated as it is recommended. It got used on the UL Summit in Slovenia, Bikepacking, Autumn hikes on the Pirkan Taival and winter hikes in the Helvetinjärvi National Park, Korouoma and overnighters. 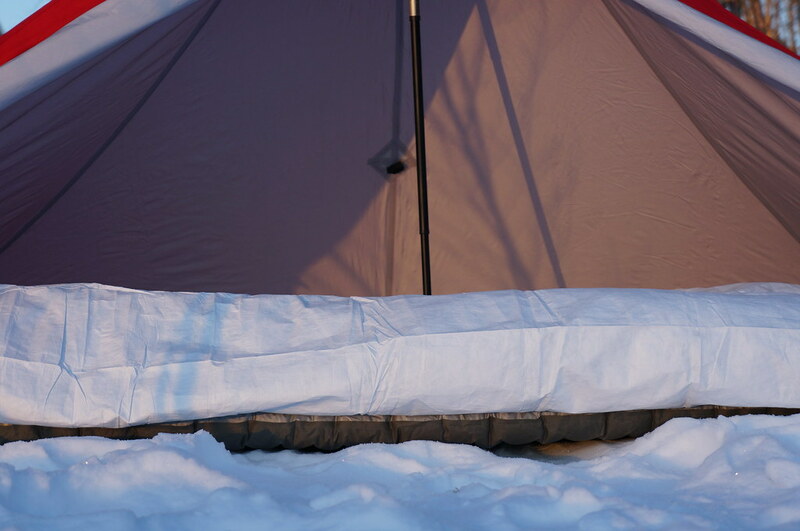 The XTherm’s function is to provide you with a warm and comfortable bed at camp while being small & light when being carried in your pack. 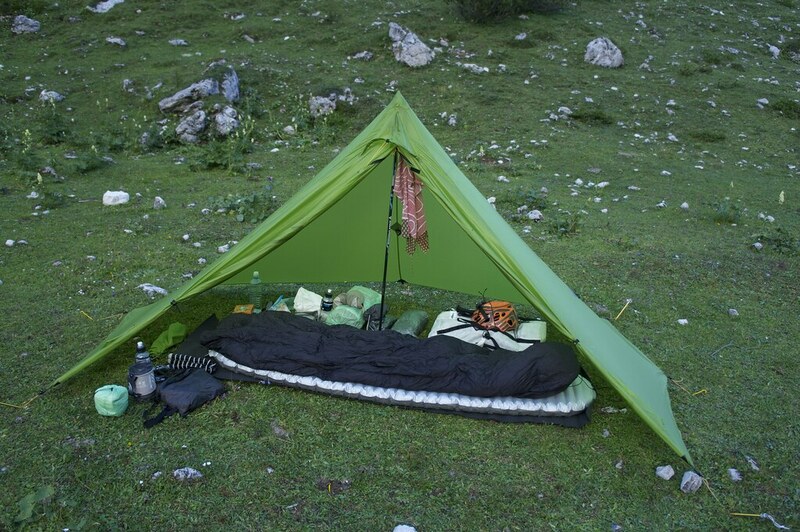 In both aspects, camp-use and during hiking, it performs superbly. It has a small enough pack size, inflates fully with 15 to 20 puffs, and is warm and very comfortable in use. 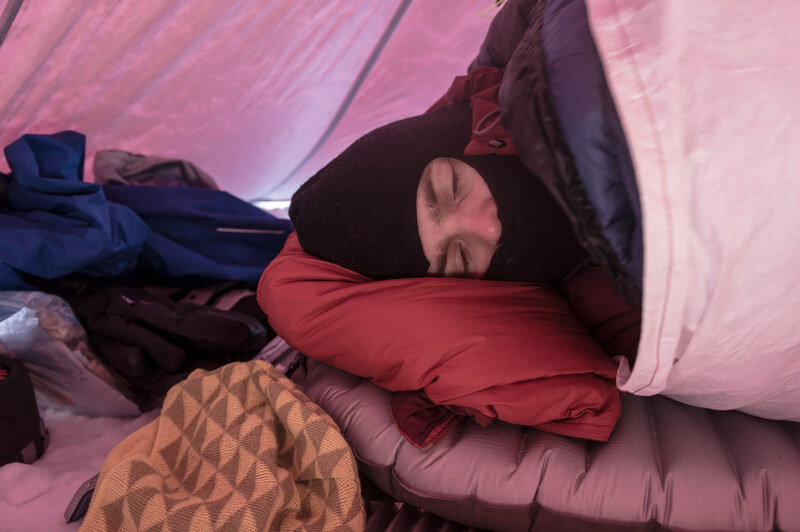 What this means in practice is that when you’re hiking the XTherm won’t take a lot of space in your pack, and when you arrive at camp it isn’t too strenuous to inflate the mat - you could even use the pack sack as an inflation bag if you’re out of breath. 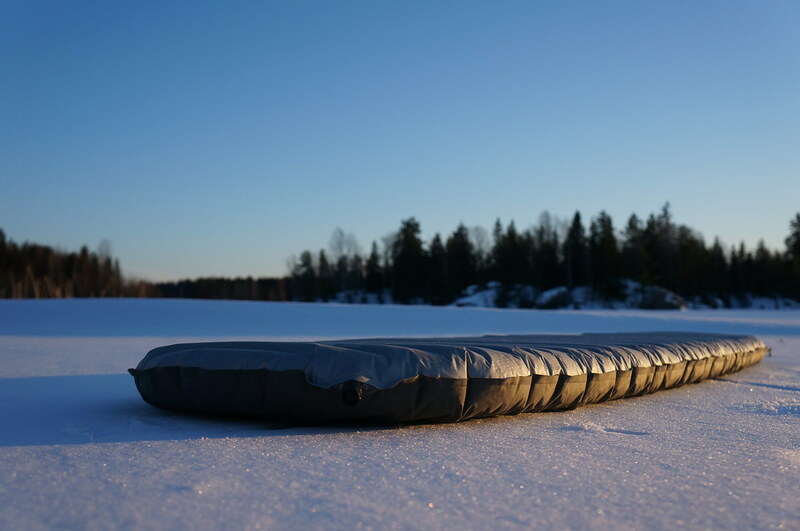 The mat is a superb padding on hard and uneven undergrounds, and insulates you against the cold that creeps up from the ground, even in the depth of winter. It works very well together with quilts but sleeping bag users will like it just as much. The XTherm has horizontal, over 6 cm thick baffles and is tapered at the ends, and has a friction surface which stops you from sliding around. 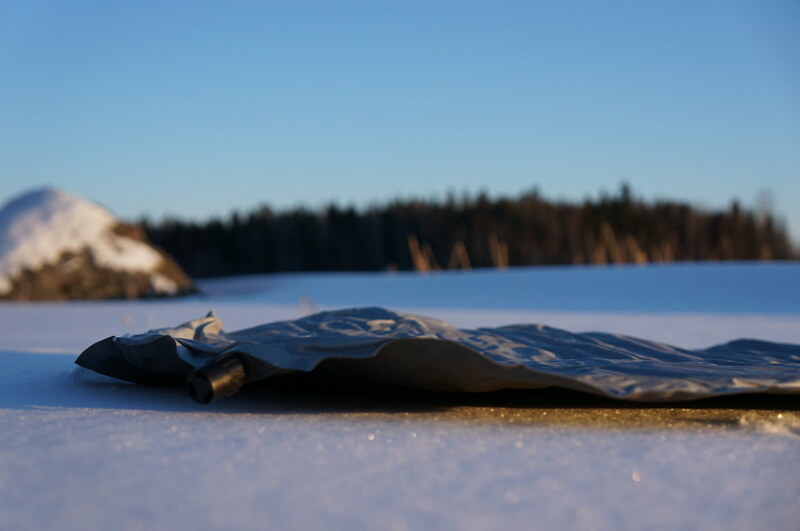 The pack sack functions as a inflation bag though I never have bothered with that, although the idea is that it helps to avoid getting moisture inside which could possibly freeze and damage the internals of the mat. That hasn’t been a problem for me yet, even if the XTherm has been outdoors a lot in cold temperatures. It comes with a repair kit, too. The XTherm comes in four lengths, and I decided to get the Regular length. I have had a Short NeoAir in the past which was not comfortable for me, as the drop-off was at my knees. I tried putting thicker equipment under my legs to make the height difference bearable, but in the end wasn’t happy with the solutions. The Regular length XTherm, 183 cm long, is superb for me (175 cm tall, 63 kg light). I can sleep comfortably on the mat, be it on my side, back or stomach. I also never compress the mat enough to touch the ground with my hips or elbows when on the mat, which sometimes can happen for side sleepers on thin mats. Its tapered at the ends, but is still wide enough so that head and feet stay on the mat. The Reflective Barriers used in the XTherm are a new technology which Therm-A-Rest is using in this mattress, which help to save weight and bulk. Four layers of this reflective material recycle body heat and create air pockets that reduce convective heat loss. Additionally Therm-A-Rest developed a Triangular Core Matrix construction which provides stability and comfort. In practice these have been working for me indeed as claimed, the pad is very warm and stable to sleep on, be it on my back, side or belly. I need to say that thus far (30+ nights) I am amazed about the quality of the XTherm. I know that e.g. Colin has had less luck with other NeoAir models, which have developed a “pillow” after 60 nights on them, but so far I have not had any problems with my XTherm. It’s also surprisingly durable, in that it has been laid down on rough mountain floors and hard, ice covered snow & ice and has withstood that without problems. If it doesn’t develop the pillow then I am sure that I will get many years use out of this mat. My XTherm in Regular length (183 cm long) is 427 gram. It is a lot warmer than my RidgeRest Solar, packs A LOT smaller and is lighter, too. Overall I rate this a the go-to mat for weight conscious backpackers who sleep outdoors in real cold weather. It’s made of oil based materials and has a coating on the inside, so shouldn’t be thrown in the garbage like ordinary rubbish. 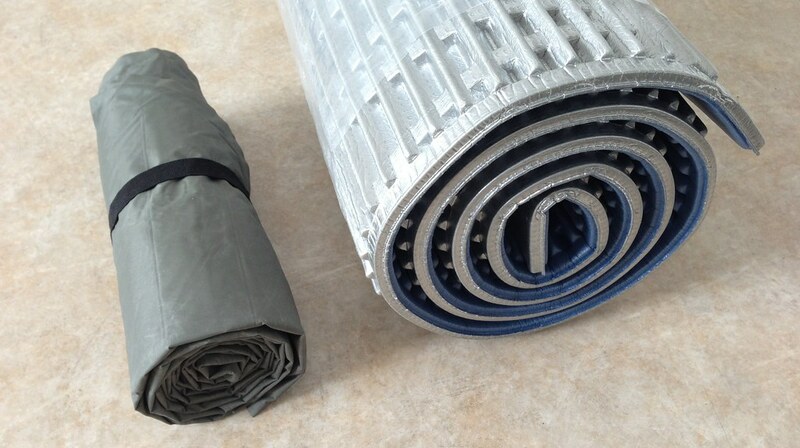 You could try to either recycle it via your local outdoor shop or inquire from Therm-A-Rest how to recycle the mat at the end of its life cycle. I have used the XTherm pretty much always with a CCF pad, mostly the superb Exped Doublemat which I have cut in half for 3 Season use, or a Multimat Summit XL or RidgeRest Solar in winter. In winter it’s to get a little bit of extra warmth, in summer to protect the pad slightly better from sharp rocks or sticks. Inflating it is easy even after a 30 km day, and it takes me less than 2 minutes to get the mat fully inflated. Before I go to sleep I add a few extra puffs - I like to sleep on a hard mat - and that is it. In the mornings the deflating and rolling up is similarly easy, I fold the pad a couple of times and then knee on it, and then just roll it up. I don’t use the pack sack (heavy!) and just pack it fairly in the middle of my pack with the shelter and bivy. The noise the internal baffles make is not a problem for me, though if you camp with other people in the same shelter and move a lot in your sleep, it might be something that could bother. It will not impact your sleep in any way, though. 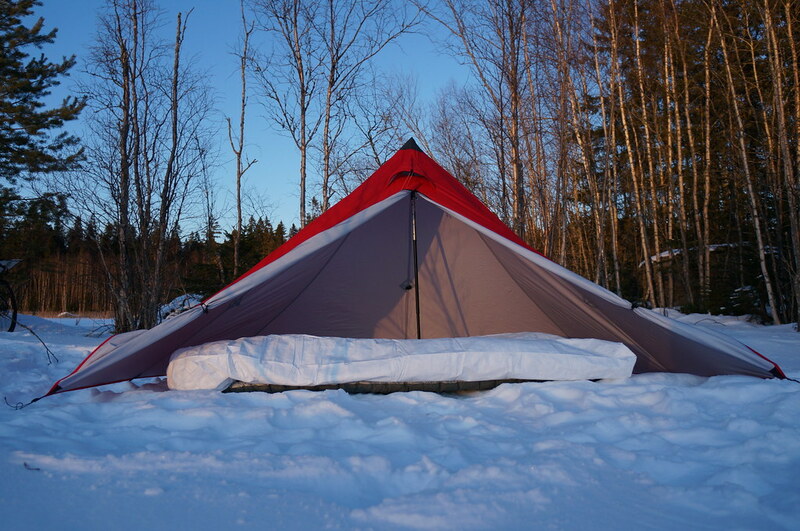 I have slept down to -12°C only with the NeoAir XTherm on the ground and down to -17°C with a CCF pad underneath it. In both setups I was comfortably warm and didn’t feel any cold coming up from the ground through the mat. I feel confident to take the mat out in up to -30°C nights together with a CCF pad in winter. If you’re now under the impression that the XTherm is only a winter mat, let me correct that view right away! While it certainly shines in cold temperatures, it is also great in summer. So have I used it for example for one week on the Ultralight Summit in Slovenia last year, where we were in August. During the day we had temps of over 35°C but at night high up in the mountains it quickly got cold once the sun set, and during the night temperatures were as low as 5°C. In these situations I was happy that I had the XTherm with me, as the rocks on the high plateau were not warm! 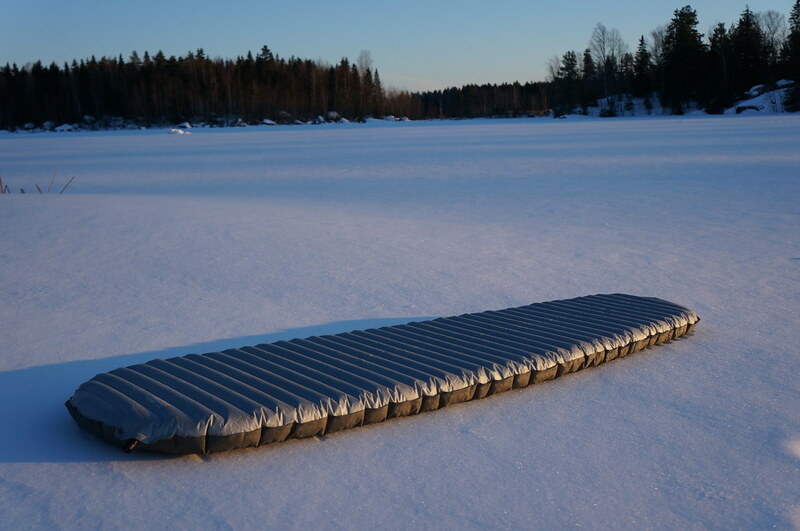 Also here in the north, especially above the Arctic Circle, temperatures in the summer can sometimes drop down to 0°C and in those situations a mat like the XTherm comes in very useful, guaranteeing you a comfortable night. The Exped Synmat UL 7 and the Exped Downmat 7 both are similarly warm, yet sadly Exped’s quality control lets quite a few faulty mats end up in customer hands so reviews are mixed. The Mammut SoftSkin Mat too has a good R-Value, as does the Big Agnes Q-Core SL. Michael likes the XTherm and compares it to two other mats. 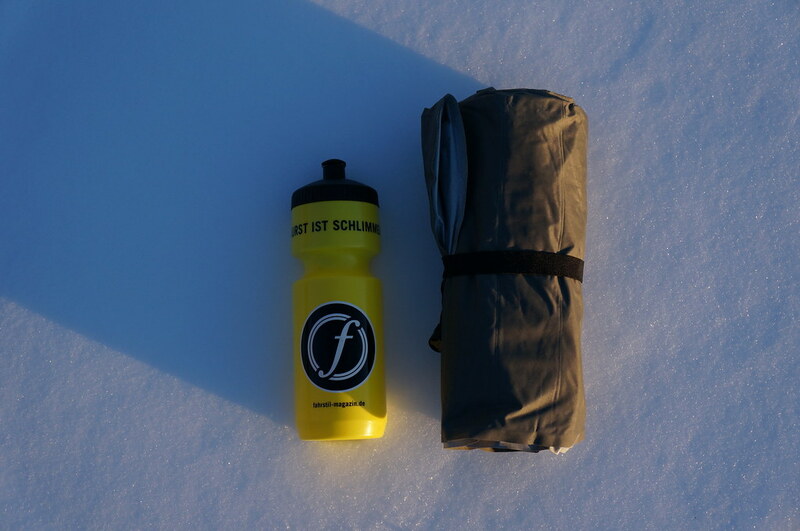 Max from the Outdoor Gear Lab gives the XTherm five stars. Quite easily the best all-season mat I have slept on to date. Lightweight, small pack size, warm and comfortable, the NeoAir XTherm ticks a lot of boxes that are important for backpackers that value a good nights sleep while not carrying heavy, bulky mats. If I know that I want a good nights sleep then I bring along the XTherm, which lately has been pretty much always. 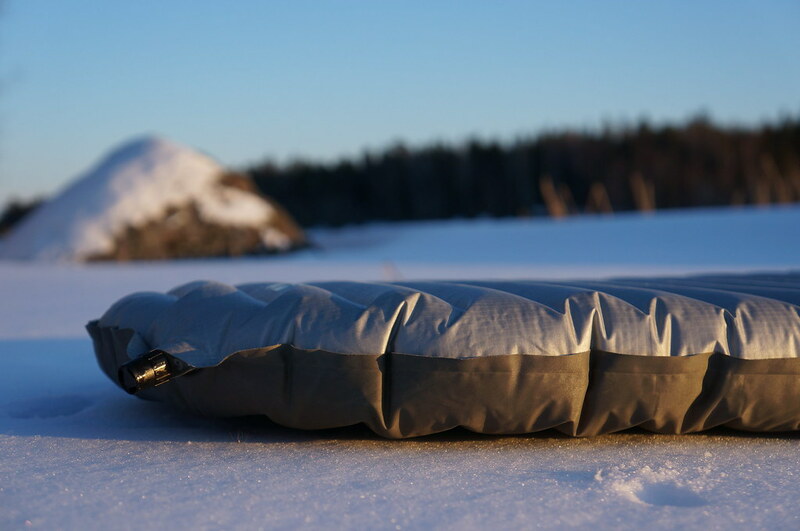 If you only want one inflatable mattress for all your trips, be they in winter or summer, for an overnighter in the nearby forest or for an high alpine adventure in the Alps, then the NeoAir XTherm is your mat of choice.